I have been poorly. And off my food. Which just never usually happens. Luckily this coincided with Si deciding to make soup. Twice. Cause and effect people!! 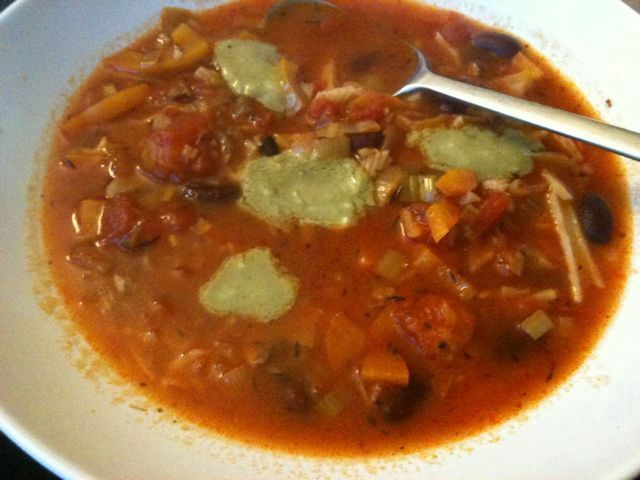 A lovely fresh minestrone and a coconutty and peanut chicken noodle soup. It made me feel better anyways. Slice and fry the chicken. Add the veggies and lime zest except pak choi. Grate up the creamed coconut and add along with the peanut butter. When stirred in, add the stock and lime juice. Simmer until the chicken is cooked through, adding more stock if too thick. Stir in the pak choi and cashews a couple of minutes before plating up. 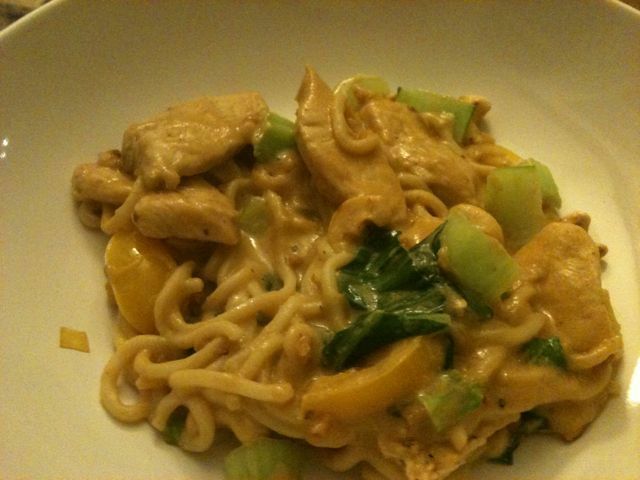 Serve with noodles. I would add lemongrass next time. I didn’t use fresh chillis but think they would taste better than tabasco. Ginger would be nice too but Charlie might blow up. Looking forward to seeing you both soon! CAAAAAAKE.